Gaafmachine – Giving away handmade love…. No Tags | Geen categorie | 2 Reacties op Giving away handmade love…. Don’t you just love making gifts for the people you love? I am loving every minute of sewing. Most of my hours I am sewing is to make clothes for Isabella and sometimes for my mother and sister. Aah, and sometimes I do sew for myself ;)! Making clothes is the best there is, though sometimes I need like other projects to sew…. I really enjoy making little pouches and bags. And they are great to give as a present (and that’s good, otherwhise my house would be fully stacked with these things). So thinking of a present for my aunt who turned 75 last week, I knew I wanted to make her a little something myself. Well, that little something became a slightly bigger something than I had planned too, but hey, if you are going to do it, then better do it perfect 🙂 ! 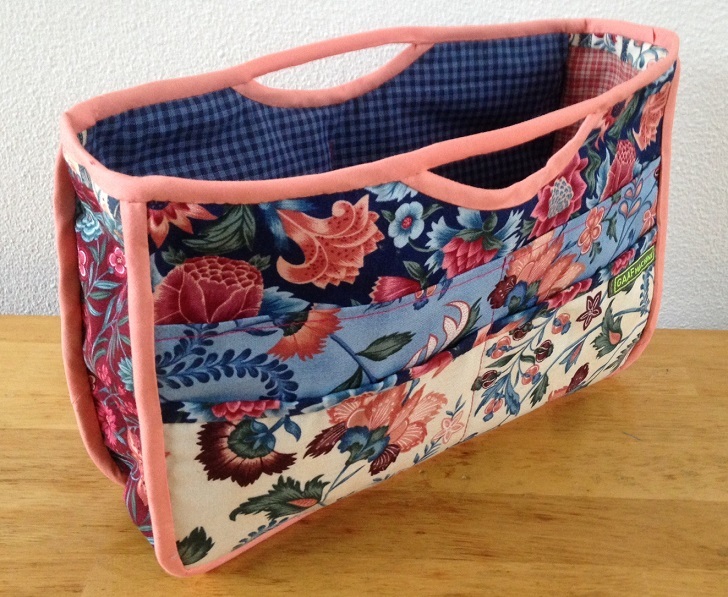 Using Pinterest for some inspiration I came across the Handy Purse Organiser from Sew Can She. So, this has to be it! And now you might understand why a little something turned out in a bigger something…hehe. I love the part of choosing what fabric to use. Well actually for this one I had picked the fabric already, as I had some lovely Hindelooper fabrics in my stash for years (really, years, as in 10 years I think). I have been in Hindeloopen (it’s a place in Friesland, the North of the Netherlands) once with my mother and sister and back then we bought some lovely Hindelooper fabrics. These fabrics (chintz) were used for traditional clothing and interior decorations in the 17th and 18th century. Chintz is a hand woven cotton material that is hand-painted or wood block printed in different flower and leaf motifs. It is a supple fabric with clear colors. You can read a little more about it here. You can finds fabrics there as well, though it’s only in Dutch, but it will give you an idea…. I think this fabric is perfect for this little organizer. 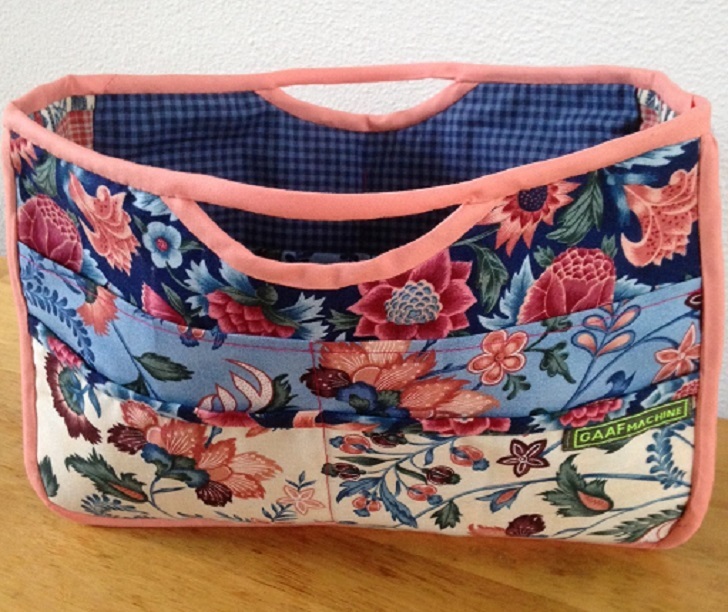 Of course, you do not need to use it in your purse, I think it’s great to use for organizing your sewing supplies :)!! Happy birthday to my aunt! Awww, yay for selfless sewing! I think it’s wonderful when you can sew a gift for someone who appreciates a handmade item. It makes it so much more special, doesn’t it? What a pretty bag! !